Third full length Blow With the Devil from Italy’s Whiskey Ritual is a loud and brash amalgamation of black metal and rock-n-roll. Lo-fi thrash and speed metal march in step with a ready-to-party punk rock attitude throughout. But, it’s the black metal chops the band uses to a large degree that makes this album a cut above their previous material. It took them one EP and two full lengths of filth ridden back alley anthems but they’ve finally realized their full potential here. Worth mentioning upfront is the album art. Head shots of several artists—including GG Allin (huge influence)—are easily recognizable. But it’s the horned Elvis spreading out his cloak as the center piece is jarring to say the least. Surprising for sure but it matches the contents found within, perfectly. At the blackened heart of this album is a ferocious blend of speedy riffs and machine gun drumming. But where their past leaned heavily on grimy rock compositions this one flat out smokes everything to date. The vocals on “Satanic Kommando” are snarled and raw, crossing heavily into black metal along with the frenetic pace of the tremolo picked guitars in the title track. Though the band has excelled tremendously in bringing their brand of brutish black metal to the forefront, they have also improved when they slow things down. Their rock oriented approach has gotten thicker by adding an extra dose of punk attitude with crusty riff centered playing. The infectious riffs and gang vocals of “Nekro Street Gang” is a note perfect soundtrack for a drunken Saturday night fight. The twin guitar solo that closes “Speed and Chicks” is meaty enough to have a song all to itself. Interestingly, this band shares members with another Italian heavyweight Forgotten Tomb. Black metal is the backbone of both bands but where they differ is in the melodic, and at times, gothic tendencies of their counterpart, neither of which are found here. It seems this is where A. and Asher go when they want to have some unabashed fun. Blow With the Devil is another in a line of raucous offerings from Whiskey Ritual. As in the past, they relish in filthy lyrical themes as well as a couple of grin-inducing anthemic tunes. The success of this album however is that it stands head and shoulders above their previous works because black metal is more of a focal point. Instead of simply toying with it, they let it out to claim its rightful place and this effort is much better for it. 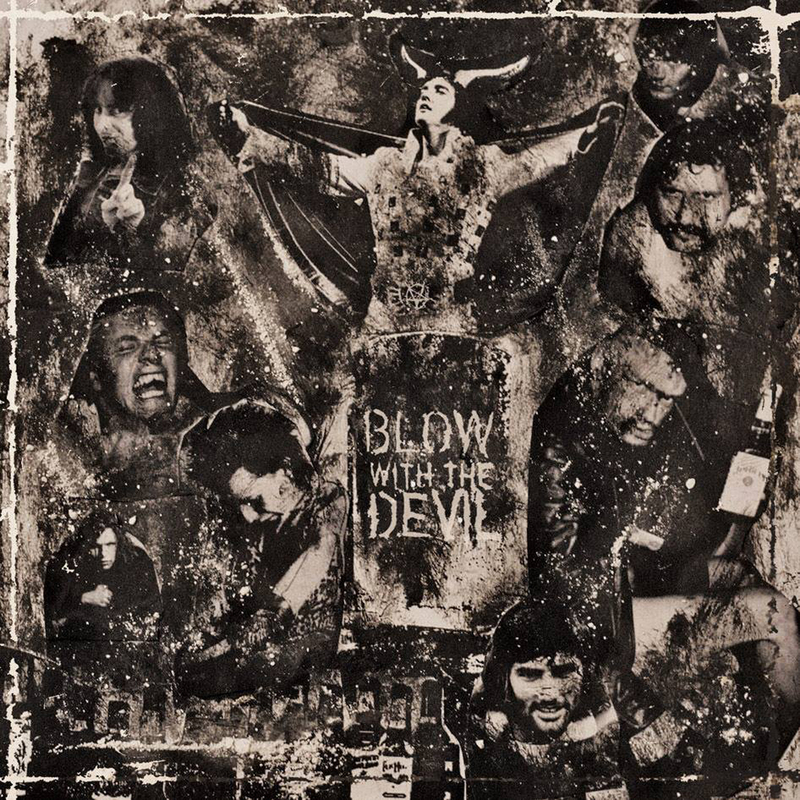 Blow With The Devil is available now on Art of Propaganda. For more information on Whiskey Ritual visit their Facebook page.